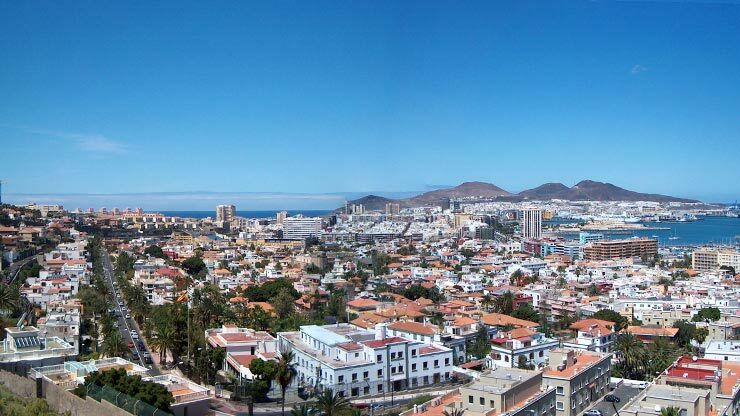 Las Palmas is the capital of Gran Canaria. It is the most densely populated city of the Canary Islands and has a population of about 379,000 residents. The island has a tropical desertic climate which is very influenced by the trade winds. 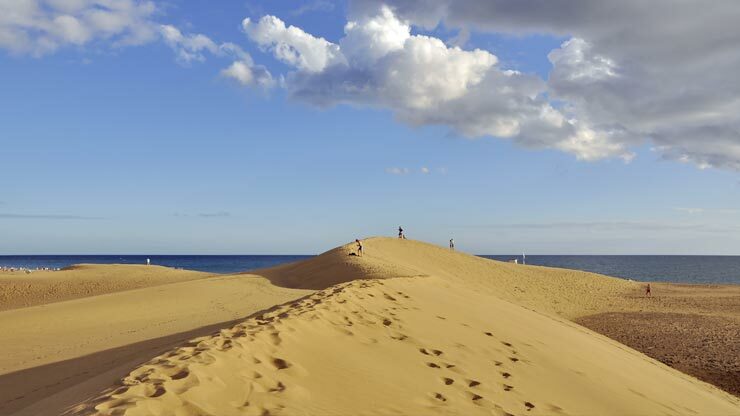 The average annual temperature of 22° C and the low annual rainfall make Gran Canaria a wonderful destination all year round. Among the many attractions are the Vegueta district, with its historic sites like the Plaza Santa Ana and the Chapel of San Antonio Abad. There are also several museums such as Casa Colon, a Canarian Museum, Museo del arte sagro and Teatro Guiniguada and the Triana district are well worth a visit. The most important beaches include Las Canteras, whose golden sand stretches about 3 km along the coast and where you will find lots of hotels, bars, restaurants, etc.. The beach Alcaravaneras with its golden sand stretches over a thousand kilometers and can be found next to the yacht harbour (muelle deportivo) of Las Palmas. Typical dishes include sancocho, ropa vieja (Canarian dish with chickpeas) pork, goat meat, etc. And at the pastries and desserts from the inland villages, we recommend the "bienmesabe" (a combination of almonds, lemon, eggs and sugar ) and "suspiros". Las Palmas has plenty to offer on every corner, so it is advisable to rent a car to move freely and independently on the island. If you need help with your car rental reservation, then you can reach us by phone, we will be happy to help. You can also calculate your quote for a rental car in three simple steps. We are BROKERS and opposite to car rental comparison sites in Las Palmas, we negotiate directly with the car rental companies in order to offer the lowest prices on car rentals in Las Palmas.